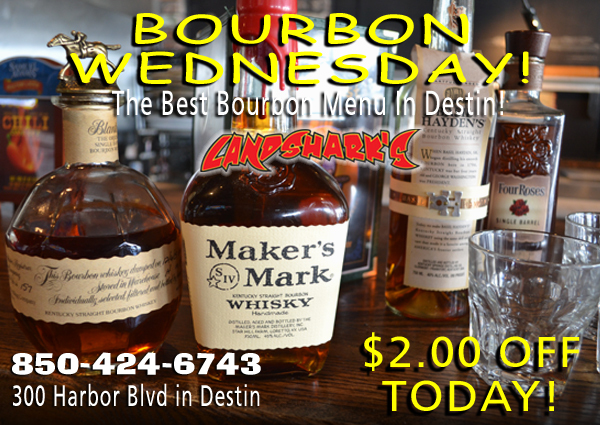 / Best Hot Wings in Destin FL / HAPPY HUMP DAY with MLB, SOCCER & Landshark’s Mouthwatering Wings 69¢ Ea & $2 Off Best Bourbons! 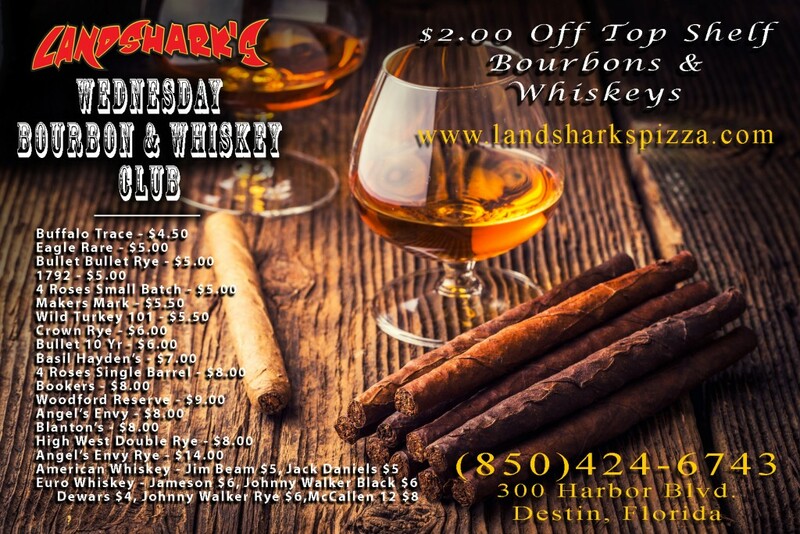 HAPPY HUMP DAY with MLB, SOCCER & Landshark’s Mouthwatering Wings 69¢ Ea & $2 Off Best Bourbons! 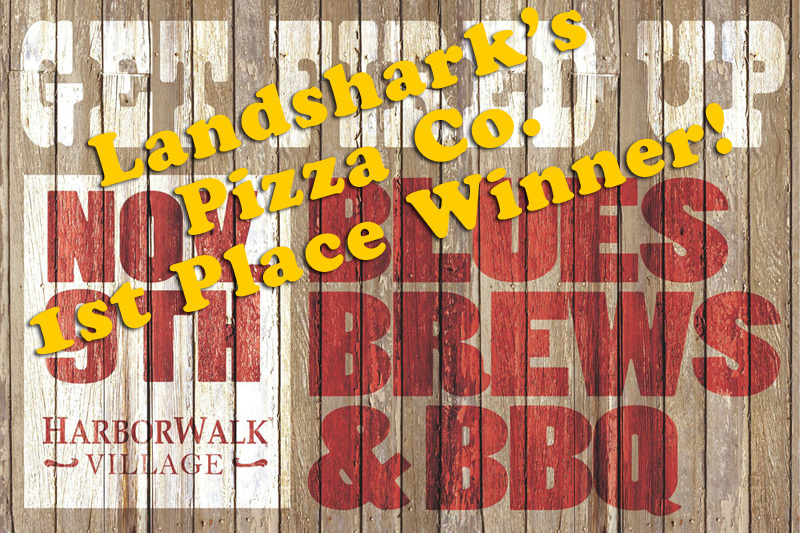 This is the kind of hump we look forward to climbing thanks to WINGSDAY Wednesday Award-Winning, juicy & delicious Landshark’s Buffalo Hot Wings. That’s right cuz they’re mouth-watering, crispy, juicy, & spicy to your satisfaction and only 69¢ each ALL DAY LONG! 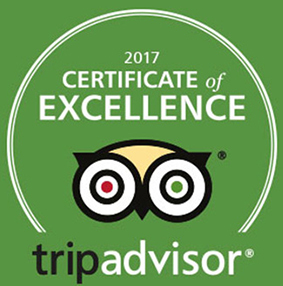 Choose from among more than 20 sauces and rubs to compliment! 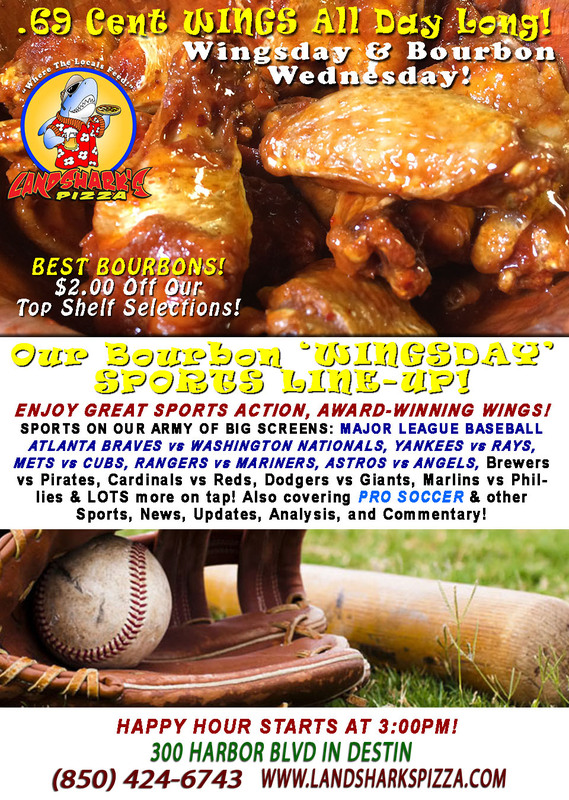 SPORTS ON OUR ARMY OF BIG SCREENS – Major League Baseball featuring ATLANTA BRAVES vs WASHINGTON NATIONALS, YANKEES vs RAYS, METS vs CUBS, RANGERS vs MARINERS, ASTROS vs ANGELS, Brewers vs Pirates, Cardinals vs Reds, Dodgers vs Giants, Marlins vs Phillies & LOTS more on tap! We’ll be covering PRO SOCCER action plus plenty other Sports Broadcasts, Sporting News, Analysis, and Commentary! NCAA Football This Week: Thursday night New Mexico vs Boise St.|Friday #22 So. Florida, Temple, & Arizona playing. 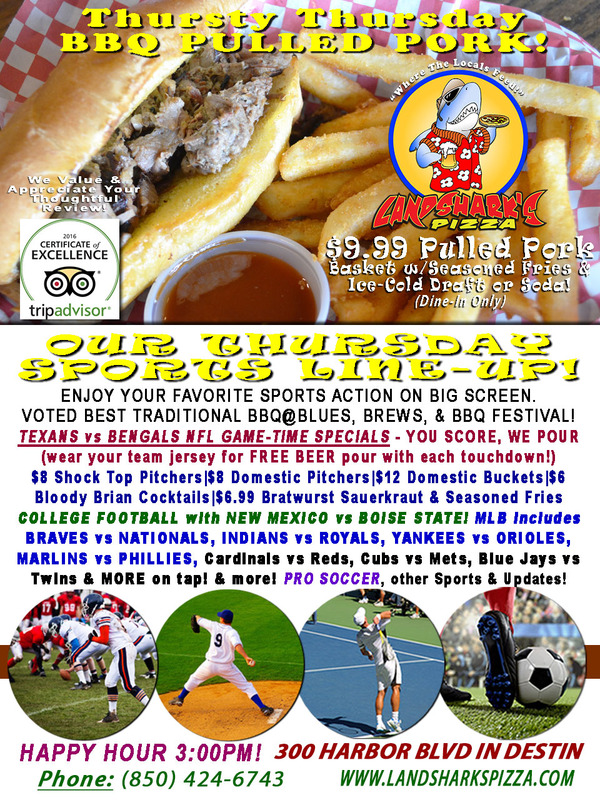 NFL This Week: Thursday Texans vs Bengals & a full slate of games on Sunday (17th)|Mon (18th) Lions vs Giants. PGA This Week: BMW Championship@Conway Farms (starts Thurs 14th) Dustin Johnson defends. NASCAR This Week: Camping World Trucks Series (Fri 15th)|Xfinity Series (Sat 16th)|Tales of the Turtles 400 (Sun 17th) all three events@Chicagoland Speedway. NHL Preseason launches Saturday (16th) w/Canucks vs Kings. 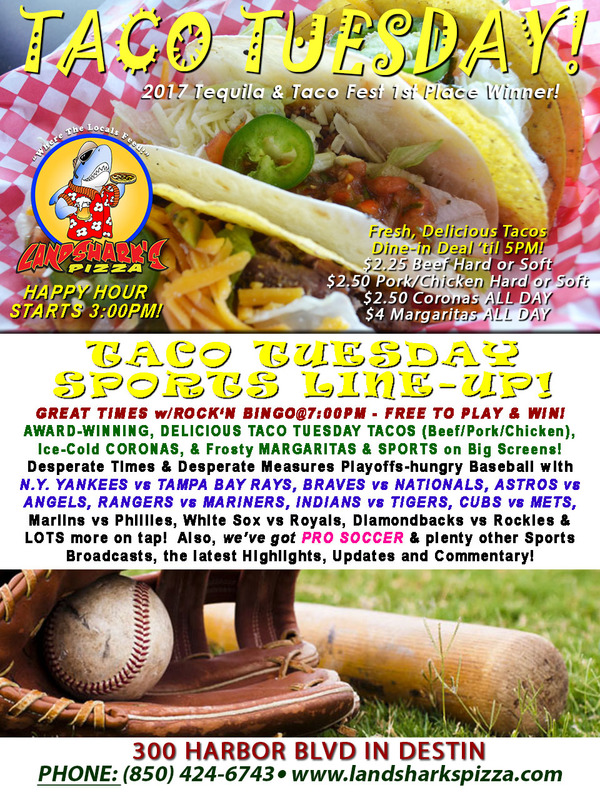 Previous Post: « Red-hot Baseball on TACO TUESDAY $2.25 Tacos, $2.50 Coronas & $4 Margaritas with ROCK’N BINGO@7PM!